What Is Embossing. Embossing is something that changes the surface of a material from flat to shaped, so that some areas of the surface are raised relative to other areas (or some areas are recessed relative to other areas). With a thin material, (like paper, film, or foil) the raised areas on one side are usually matched by recessed areas on the opposite side, and vice versa. Why Emboss. Embossing can change the appearance, feel, and physical properties of a material. It can be used to make a product look either similar to or distinctive from other products. It can make a stiff material feel more pliable. It can increase absorbency. It can improve the way a material works inside of a machine. Terminology. 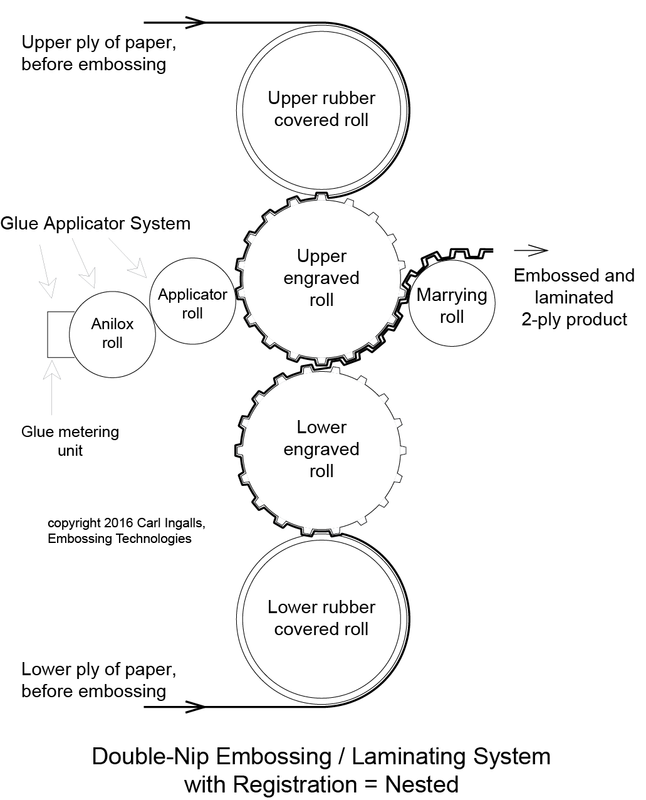 See Glossary of Embossing Terms for definitions.